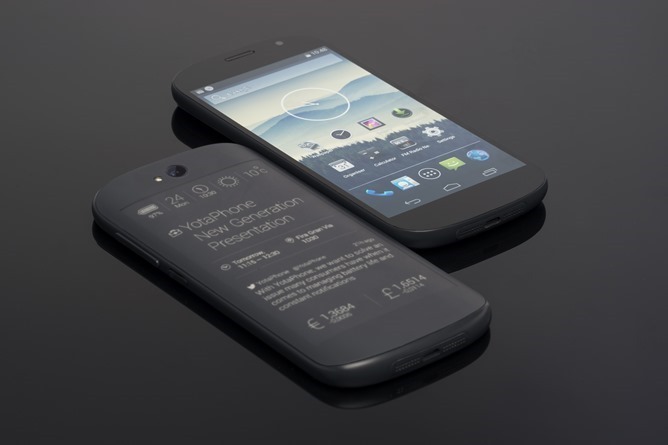 I honestly think the YotaPhone was one of the coolest smartphone innovations of 2013, and while I wouldn't exactly be the first in line to buy a device from an unproven OEM, Yota Devices has once again piqued my curiosity with their announcement of the "next generation" YotaPhone here at MWC. The new YotaPhone solves what was arguably the biggest problem with the original's otherwise innovative concept - interacting with the e-Ink display. On the old device, this was done via a series of gestures on a touchpad along the bottom of the e-Ink panel. 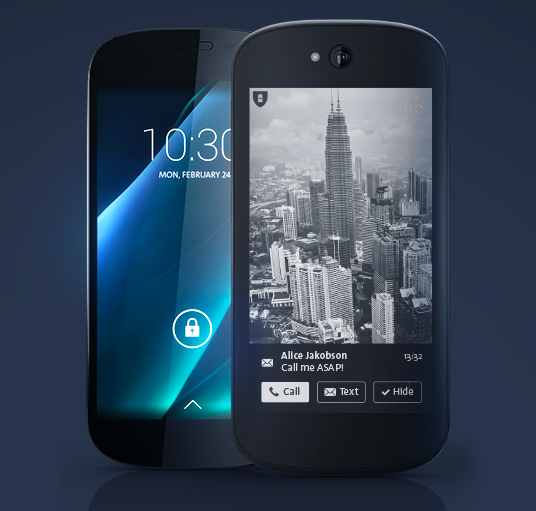 On the new YotaPhone, the panel is fully touch-enabled, eliminating the need for that less than perfect workaround. The new YotaPhone's rear panel is also now larger, at 4.7", and boasts greater pixel density than the previous model (actual resolution was not specified, unfortunately). Yota's also integrated a light for the rear panel in case you want to use it in the dark. New functions have, of course, been added as well. The e-Ink display can now be used for all sorts of tasks - responding to SMSs, answering phone calls, accepting meeting invites, or posting to social networks. Using only the power-sipping e-Ink display, Yota claims the new YotaPhone will get 50 hours of battery life, though I'm not sure how one would accomplish that, as you're still limited to the tools and interfaces Yota gives you on the back. The device also now has more up to date internals, like a Qualcomm Snapdragon 800 processor, wireless charging (standard unspecified), and NFC. Yota has also bumped up the size of the full color display considerably, to 5" (it's an AMOLED). 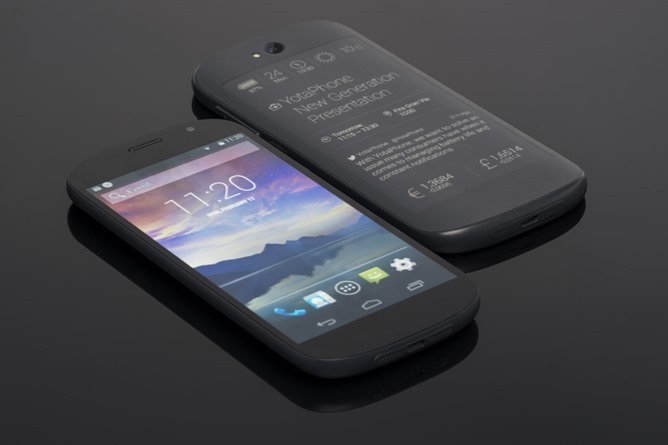 Yota says the new YotaPhone will go on sale in Russia and EMEA markets in Q4 2014, with US and Asian availability following in the next quarter or two. That does, sadly, seem quite a long ways off, and will likely doom the new YotaPhone to obscurity nearly equal to its predecessor outside of Yota's home market in Russia. Still, what Yota's doing here is almost inarguably interesting, and hopefully is raising a few eyebrows at other OEMs. 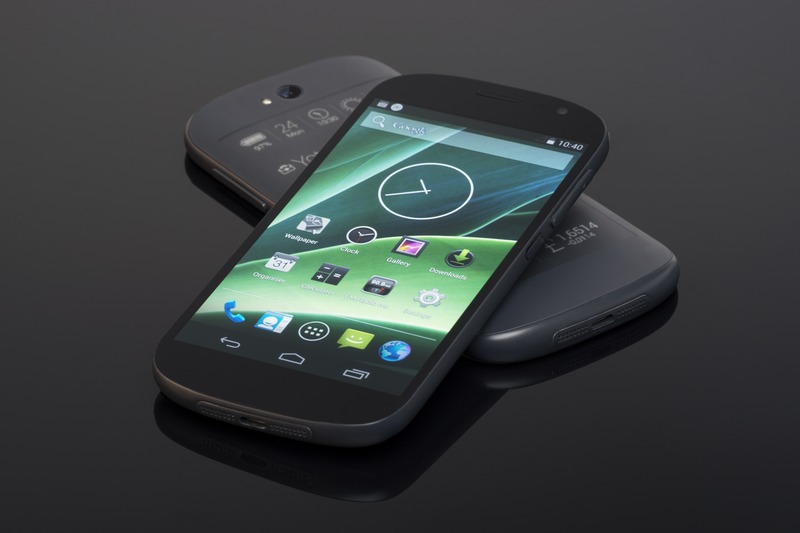 Yota also announced that owners of the original YotaPhone will be able to purchase the sequel at a substantial discount, and the details of that program will be made available soon.